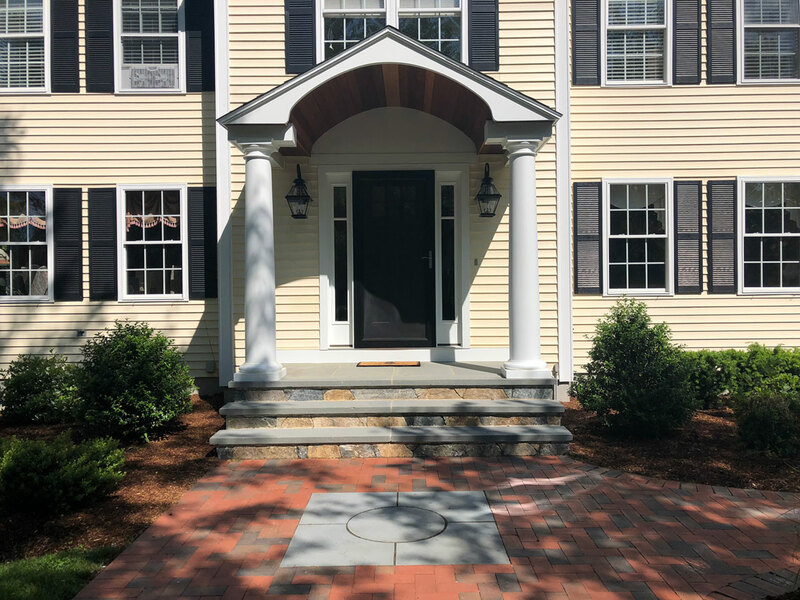 The best way to improve the curb appeal of any home is to add a front door portico. 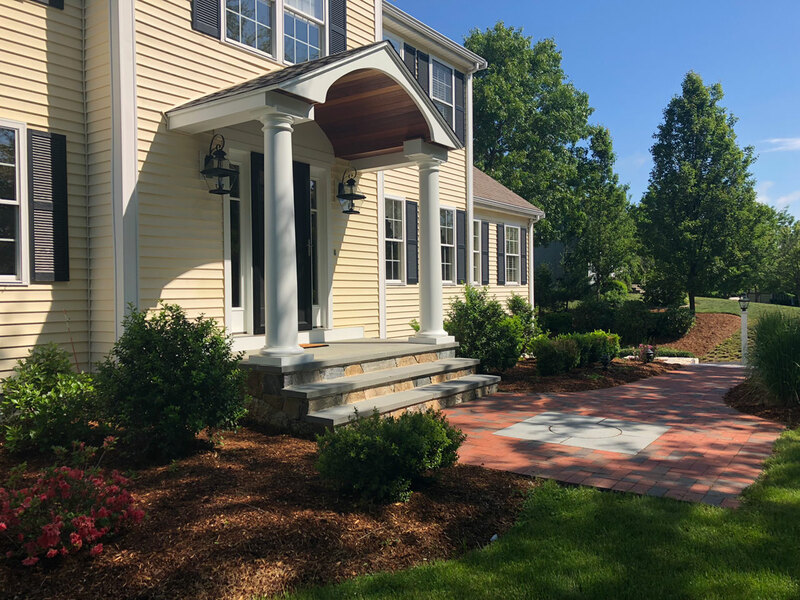 However, before that can happen, a top quality set of stone or masonry steps and walkway with the proper dimensions is essential to the creation of this architectural design element. The project is completed with a well chosen, hardy, plant material pallet.